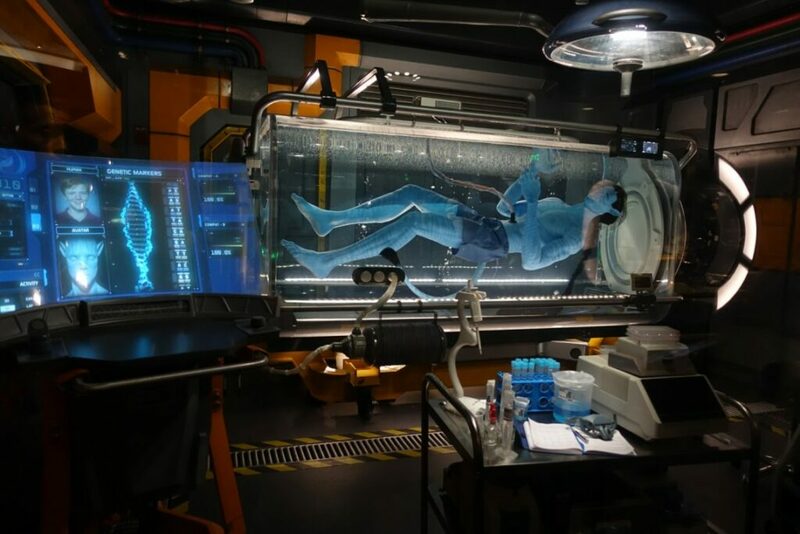 During Avatar Flight of Passage, you have the chance to fly on the back of a mountain banshee. It’s one of the most exciting rides that Disney has to offer. Do not miss this 3D ride! Avatar Flight of Passage Ride is officially my new FAVORITE ride. I just returned from previewing Pandora – The World of Avatar and I cannot stop thinking about the experience I had while flying on top of my banshee. I was lucky enough to get on Avatar Flight of Passage TWICE before heading home and I noticed some things the second time around that I MISSED during my original journey. Hopefully, you’ll read this post before heading down to Walt Disney World because I heard the lines are going to be intense. Everything officially opens to the public on SATURDAY. You might not be able to squeeze in two rides during your trip to Disney’s Animal Kingdom. So, PLEASE read these Avatar Flight of Passage tips and look out for these small details as you are lifted away on your adventure. The ride launches each guest on an exhilarating, wind-in-your-face experience on a winged mountain banshee over the awe-inspiring world of Pandora. As you head out into the skies, clear out all your senses! While you are waiting to be seated, there is a matching ceremony, I thought it was interesting to see whether or not I was matched with a female Avatar or a male. As a heads up, I got one of each. Not sure if it measures your body or height or is just completely random…but it’s something fun to help pass the time. Guests will actually feel the banshee breathe beneath them as they soar through the forest and above floating mountains. Your thighs will push in and out and during the ride. Truthfully, I didn’t realize it during my first ride! It was only when I was more relaxed during my second take, that I felt what was happening. There is a moment in the ride where your banshee perches in a serene central hub. There will be lots of pink – look out for a pink tree or something like that. Enjoy it!!! During my first ride, I was screaming to my friends, “WE ARE GOING TO FALL BACKWARDS!! THEY ARE TRICKING US!! !” And they were NOT tricking us. That area is literally there for you to enjoy. So, please do. Don’t forget to look to the left and the right. Your screen goes all the way around. In the beginning, I was focused on the center of the ride. By the end, I was looking up, down, right and left. A lot of thought went into this ride – soak it all in!!! As you are on the line waiting for your turn, there are actual LIVE creatures to check out in the science lab. I didn’t think they were REAL because they looked super COOL. But I asked around and they ARE! Have your cameras ready because these little things are like nothing you have ever seen. Are You Ready For Flight Of Passage Ride? Are you excited to jump on the Avatar Flight of Passage Ride? Have you had the chance to ride it yet? What did you think?! 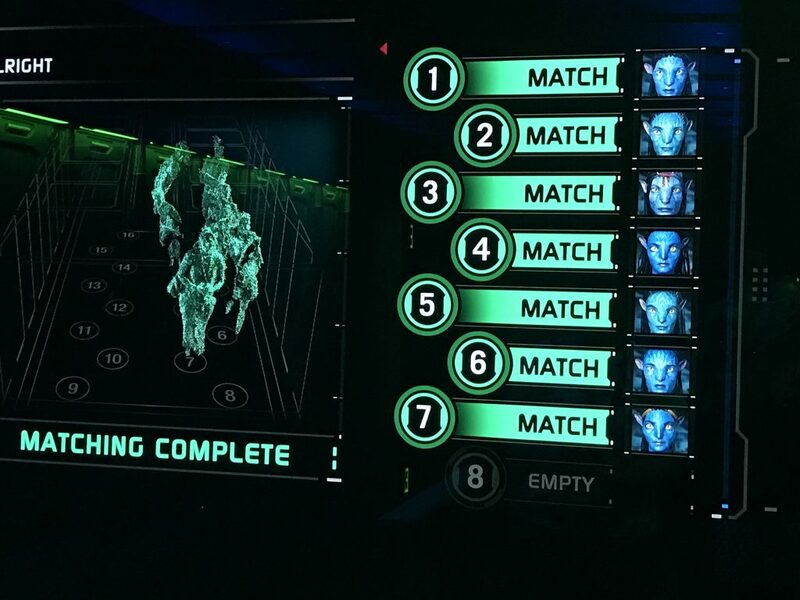 Do you have any of your own Avatar Flight of Passage ride tips? This is quite literally my FAVORITE RIDE EVER! I cannot say it enough. Pandora is everything you are expecting and more. *Disney invited me to attend the press preview of Avatar Flight of Passage. All opinions are my own.